New Delhi, Oct 11 : Commenting on the index of industrial production for August 2014, Mr Chandrajit Banerjee, Director General, CII said the IIP data shows that industrial production continues to be in the slowdown phase and a visible turnaround in industrial growth is still not happening. And if we factor in the base effect, the performance of industry shows that demand is yet to show distinct signs of a pick-up. Business sentiment has significantly improved as is borne out from the CII business confidence index, and we hope that this would translate on the ground soon. New Delhi, Aug 14 : Chandrajit Banerjee, Director General, Confederation of Indian Industry (CII), has sounded positive over latest figures showing the inflation to be at a two month low. "It is good to note that headline inflation has eased to a two month low in July 2014, essentially on the back of a drop in fuel prices and a moderation in the prices of food items such as cereals and vegetables," Banerjee said. New Delhi, Aug 1 - The Confederation of Indian Industry (CII) has welcomed the Cabinet nod for Labour Law Reforms in a few important acts as reported in the media today. "The quick action has demonstrated the Government's strong commitment towards pushing key labour reforms to encourage economic growth and generate employment opportunities in the country," said. Chandrajit Banerjee, Director General, CII. New Delhi, July 12 - Commenting on IIP figures released for May 2014-25, Chandrajit Banerjee, Director General, CII said that the rise in industrial production for the second month in a row provides a glimmer of hope that the economy could be bottoming out and recovery could be on the anvil. He further said in a statement that the favourable base effect of last year and the double digit export growth experienced during the month could have also contributed in boosting industrial activity during the month, but the overall trend is positive. New Delhi, June 24 : The Confederation of Indian Industry (CII) has said that India-Bangladesh trade could double to USD 10 billion by 2018, provided trading irritants like non-tariff barriers and infrastructure related issues are resolved. 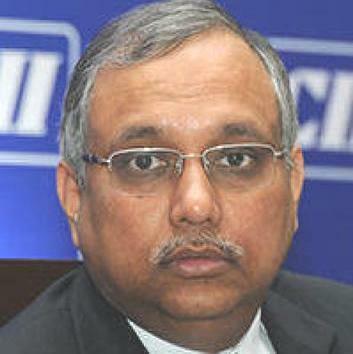 intensify trade and Investment between the two countries," said Chandrajit Banerjee , Director General, CII. New Delhi, May 5 - In order to address the mounting Non-Performing Assets (NPAs) pressure on the health of the Indian banking system, CII has recommended a 5 point action plan to the Ministry of Finance and the Reserve Bank of India to deal with steep deterioration in asset quality and effect a turn around strategy for banks by releasing stress from their balance sheets. Indian can deal with crony capitalism by introducing transparency and reducing discretionary power, new CII President Ajay Shriram suggested. Expressing his views about crony capitalism in a just published interview, Mr. Shriram admitted that India too, like other countries, has 'black sheeps'. Speaking about the issue, he said, "We have to accept that there are humans all over the world. We have had black sheeps. It's not only in India; it's in America, in Europe, every country. We should have a balanced approach and look at what to do with rules and regulations." Indian banks are well equipped to cope with risks arising from fraudulent cases, according to a recently released banking technology survey report. The survey conducted by PricewaterhouseCoopers (PwC) in partnership with the Confederation of Indian Industries (CII) found all banks saying that they had robust & resilient regulatory compliance structure in place to cope with any risks arising from fraudulent cases. New Delhi, Feb 24 : At a time when overall demand in the economy continues to remain subdued, delaying an economic recovery, the interim budget presented by the Finance Ministry on 17th February is expected provide some relief. However, rising cost of credit is a top concern for Indian industry. India's trade deficit in January narrowed to US$9.92 billion versus US$18.97 billion in the corresponding month of last year, thanks to steep fall in imports and a considerable increase in exports. 10.1 per cent to $13.19 billion. It was the steepest decline recorded since March last year. Indian economy will likely grow at a rate of 4.5 to 5 per cent during the second half of the current financial year, the Confederation of Indian Industry (CII) said. In its latest survey report, the CII said the economy might have already bottomed out in the previous quarter but it ruled out any possibility of a significant improvement in the country's gross domestic product (GDP) in the October-March period of current financial year. Draft national guidelines for management of solid waste has been crafted out by the CII Task Force, Amit Gossain, Chairman of the Task Force, has confirmed. Authorities responsible for managing solid waste are facing a big problem in managing the waste without causing harm to the environment. According to Gossain, who is also executive vice-president of construction equipment giant JCB India, nearly 115,000 tonnes of municipal solid waste is being generated every day. Rating agencies should not view the Indian economy just through the prism of current account deficit (CAD) and fiscal deficit; rather they should take the fundamentals of the economy as well as its medium-term prospects into account while determining a rating for it, Confederation of Indian Industry (CII) Director General Chandrajit Banerjee said. Industry body CII welcomed the government's decision to relax foreign direct investment (FDI) norms in multi-brand retail and raising investment caps in several other sectors. The government on Thursday erased the mandatory 30 per cent local sourcing norm for the multi-brand retail sector and allowed states to allow multi-brand retailing in cities with population less than one million. In addition, the government raised FDI caps for several sectors. For example, the FDI limit for the telecom sector was raised from 74 per cent to 100 per cent. Kris S Gopalakrishnan, the newly-elected president of the Confederation of Indian Industry (CII), has urged the Reserve Bank of India to cut interest rates by one per cent or 100 basis points (bps) in order to boost investment. Gopalakrishnan said that investments a cut in interest rates would automatically increase investments. He added that that kick starting investments and early implementation of Goods & Services Tax (GST) as well as Direct Tax Code (DTC) were vital for taking economic growth to 8-9 per cent in the coming years. New Delhi, Jan 14 : Calling for some tax reforms to revive growth, the Confederation of Indian Industry (CII) Monday asked the government to allow higher depreciation rate on plant and machinery from the current 15 percent to 25 percent for the next three to five years. In its pre-budget memorandum to the finance ministry, CII also called for abolishing surcharge and cess from corporate tax, and exempting infrastructure and Special Economic Zones (SEZ) companies from levy of minimum alternate tax (MAT) to incentivize new investments. The entertainment & media industry of India will likely reach Rs 1.75 lakh crore by the year of 2016, a new report prepared jointly by the Confederation of Indian Industry (CII) and PricewaterhouseCoopers (PwC) said. rate, saying the economy is in dire need of sentiment boosters. because investments had almost dried up. A majority of companies remain pessimistic about the outlook for the economy in the current fiscal and expect only a mild recovery in the next fiscal year, a new survey by the Confederation of Indian Industry (CII) revealed. The CII questioned chief executive officers (CEOs) of member companies of its National Council, and found 44 per cent predicting that the India's gross domestic product (GDP) growth would slip below 6 per cent in the current fiscal. Another 44 per cent said the GDP growth would remain in the range of 6 per cent to 6.5 per cent.